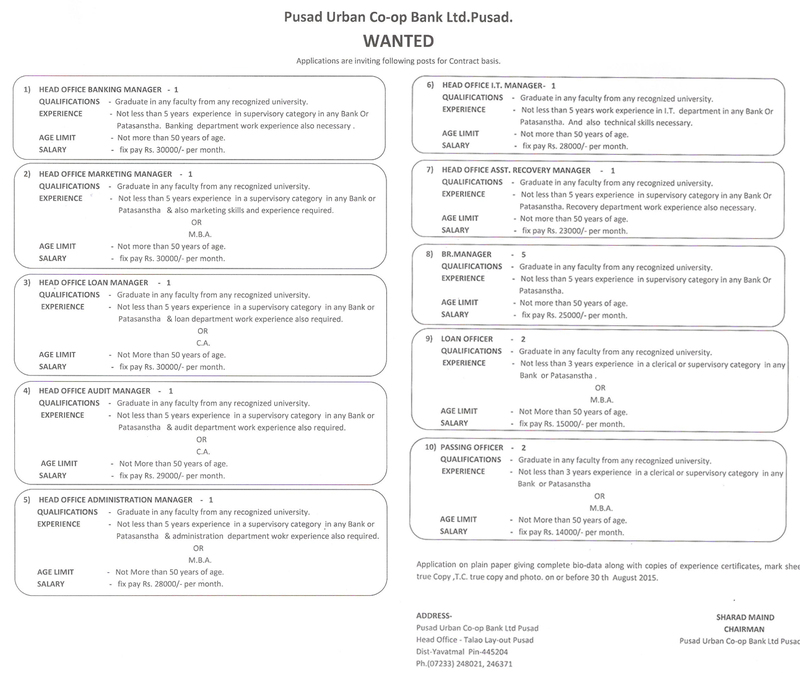 Loan Officer / Passing Officer Job position in Pusad Urban Co-op Bank Ltd.
Qualification : Graduate In any faculty from any recognized university. Age Limit : Not More than 50 years of age. Salary : fix pay Rs 15000/- per month. Salary : fix pay Rs 14000/- per month. 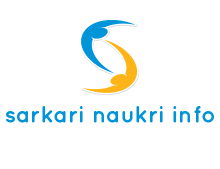 Interested candidates may submit their application on plain paper giving complete bio-data along with copies of experience certificates, mark sheet true Copy T.C. true copy and photo. on or before 30th August 2015 to the address of Pusad Urban Co-op Bank Ltd Pusad Head Office - Talao Lay-out Pusad, Dist.Yavatmal Pin.-445204.